The forestry contractors will be finishing work on Holmbury Hill in the next few weeks, and then moving onto Pitch Hill. Rather than continuing with the timber lorries going through Peaslake, they’ll be using Pitch Hill car park for stacking timber and all movements will be from there. 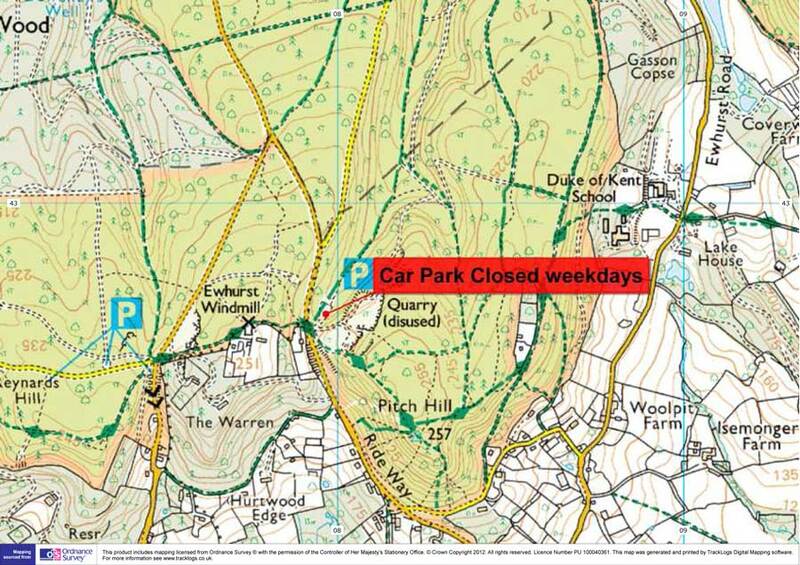 So for obvious reasons it will be safer to close the car park completely during those movements which will be weekdays only, with it remaining open at the weekends (albeit with slightly fewer spaces).